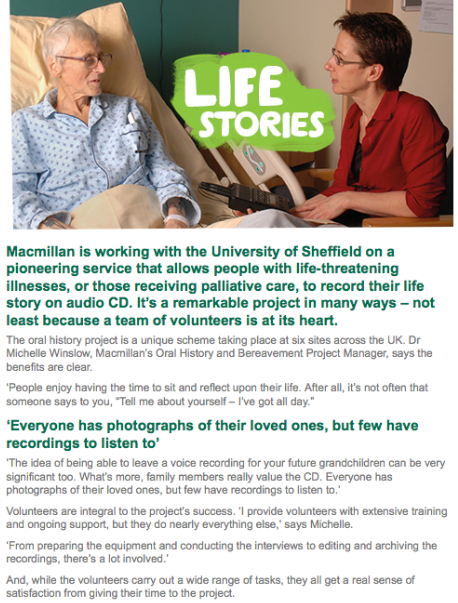 I write and edit Macmillan Cancer Support’s quarterly newsletter for volunteers. It’s always a privilege to get to speak to the inspiring people who give their valuable time to make sure nobody faces cancer alone. You can find just some of the other articles I’ve written for Volunteer News here, here, here and here.